If you’ve never experienced acupuncture, or even consider acupuncture, you’re probably not alone. Acupuncture can seem strange if you’ve never experienced it yourself, or if you don’t know anyone who has tried acupunctural treatments, but once you understand the benefits of acupuncture and how acupuncture works, you might find yourself trying out acupuncture for yourself. 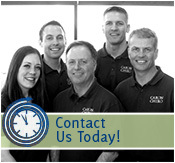 At the Caron Chiropractic Clinic, we provide St. Paul, MN acupunctural treatments for injury recovery and pain relief, disease treatment, and combatting disorders and conditions. You might think of acupuncture as something that is intended only for pain relief, but acupunctural treatments are actually an effective disease treatment method. Recognized by the World Health Organization as a viable disease treatment solution for more than 40 diseases, acupuncture has gained traction in disease treatments, helping countless individuals find a natural disease treatment without medications or extensive treatment plans. Because acupuncture targets your body’s circulatory, muscular, immune, lymphatic, and nervous systems, the number of diseases, and the types of diseases acupuncture can treat is extensive, affecting as many parts of your body as is needed. Just as acupuncture is capable of treating diseases, because it affects so many of your body’s systems, acupunctural treatments are effective in treating conditions and disorders that are often treated using medications. To avoid using medications and pursue a natural treatment for a disorder or condition, look to acupuncture as a treatment for respiratory, neurological, circulatory, emotional, and eye, ear, nose, and throat disorders and conditions. Acupuncture treatments can even be effective in treating gynecological, autoimmune, and gastrointestinal disorders, and a slew of other conditions that may be negatively affecting your physical or mental health. As acupunctural injury recovery is the most well-known use of acupuncture, you might already be aware that acupuncture is an effective injury treatment and natural pain relief solution that has helped patients with a variety of injuries. Whether you’ve sustained a work injury, auto accident injury, sports injury, or otherwise, acupuncture could help to provide lasting pain relief and ensure that you heal completely from your injury without the use of pain medication. Perhaps the largest benefit of acupuncture is its versatility. 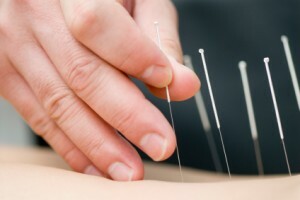 Acupunctural treatments are specific to each patient’s needs, which means that, depending on your injuries, conditions, or disease, you will have a unique acupunctural treatment plan that will target your specific maladies. Whether you need two acupuncture needles or 20, we’ll ensure that the placement of acupuncture needles is planned carefully so that you receive effective acupunctural treatments, specific to your ailments. Contact the Caron Chiropractic Clinic today at (651) 255-9999 or info@caronchiropractic.com, and find out for yourself how our St. Paul, Minnesota acupunctural treatments can help you recover from your injuries or ailments. This entry was posted	on Saturday, October 29th, 2016 at 6:49 pm	and is filed under Acupuncture. You can follow any responses to this entry through the RSS 2.0 feed. You can leave a response, or trackback from your own site.